Nearly all of the Cherries’ loan players were in action over the weekend. Here’s how the loanees fared this weekend, with a goalkeeper scoring, a debut goal and a first start at a new club. One of the stories of the weekend, goalkeeper Travers scored the winner for Weymouth – a dramatic late strike in a 3-2 win against Bishop’s Stortford. It wasn’t a scrappy tap in from a last minute corner, but a calculated chip. With seconds left on the clock, Travers had a free-kick high in his own half. He spotted his opposite number off his line and hit the perfect lob from roughly 60-yards. Not to mention it was on the Republic of Ireland under-19 international’s senior debut. Good work Mark! With the story being about Neymar’s home debut, not many people gave Toulouse a chance at Paris Saint-Germain. 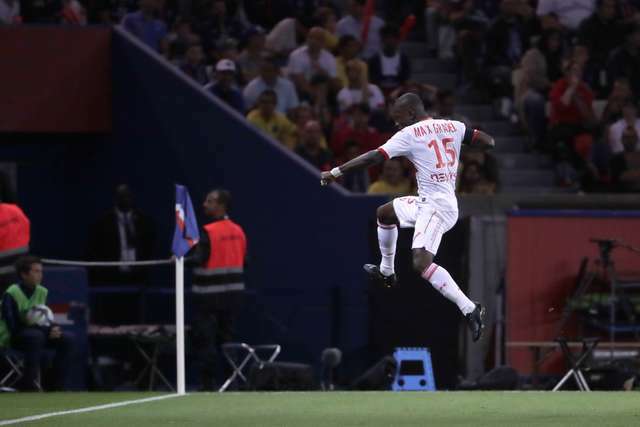 But Max Gradel, on his debut for the club, silenced the home crowd with the opening goal after 18 minutes. The Ivorian hit a sweet volley in the penalty area to give the hosts the lead, but Neymar struck a brace as PSG were 6-2 winners. Matthews came off the bench for Eastleigh and made a solid impact in their 2-0 win over Tranmere Rovers. The midfielder swung in a delightful cross which Craig McAllister headed in to secure the three points for the Spitfires. Grabban couldn’t continue his excellent goalscoring spell against Leeds United at home, with the Black Cats losing 2-0. The striker played 90 minutes at the Stadium of Light. After signing for Newport on Thursday, Quigley was thrust straight into the County line-up away to Coventry City in League Two. The striker played 69 minutes as the Exiles recorded an impressive and unexpected 1-0 win against the high-flying Sky Blues at the Ricoh Arena. Striker Surridge is continuing to be eased in at Huish Park, as he came off the bench in Town’s 4-3 defeat at Forest Green Rovers. Surridge came on in the 67th minute for Glovers goalscorer Olufela Olomola. Goalkeeper Allsop continues as Blackpool’s number one but was unfortunate to score an own goal as the Tangerines drew 3-3 away at Doncaster. Tommy Rowe's strike cannoned back off the crossbar and ricocheted off Allsop into the net, but overall it was another encouraging display from the stopper. After a stunning goal last week, Whitfield was handed a start against Chesterfield away for the Valiants. They were defeated 2-0 and Whitfield played 62 minutes of the match. Cargill signed for the Cod Army on Friday, but wasn’t included in the squad as they made it three wins from three in League One against AFC Wimbledon.